Stripped of the padding that characterized the original version of 2012, the Prince “Cord” Indoor reveals the skeleton of the shell which now features an interweaving of leather-covered tubular strings. 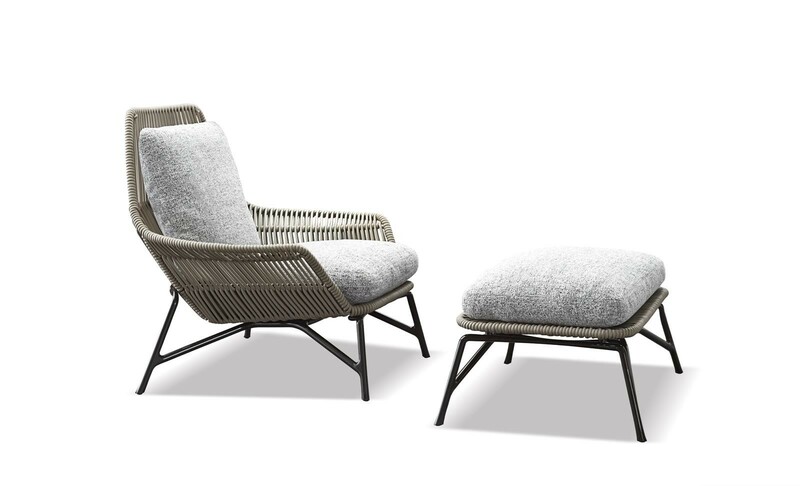 The design, inspired by the American modernism of the Fifties, is underlined by the Pewter-colored aluminum base realized through a complex die-casting technique. 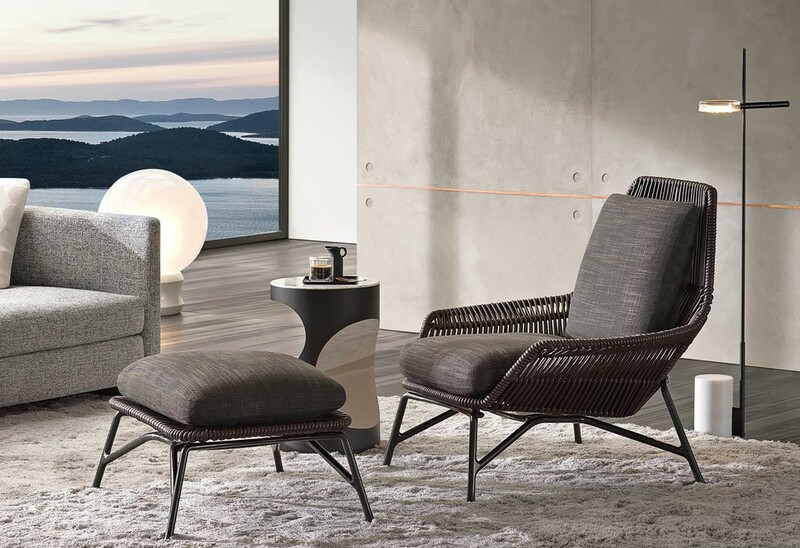 The softness of the armchair is accentuated by the fabric or leather-upholstered seat and back cushions. The sartorial attention to details, one of the strengths of the Minotti production, is highlighted in the execution of the round-profiled ropes, which feature a unique seam that runs along the entire length of the covering leather. 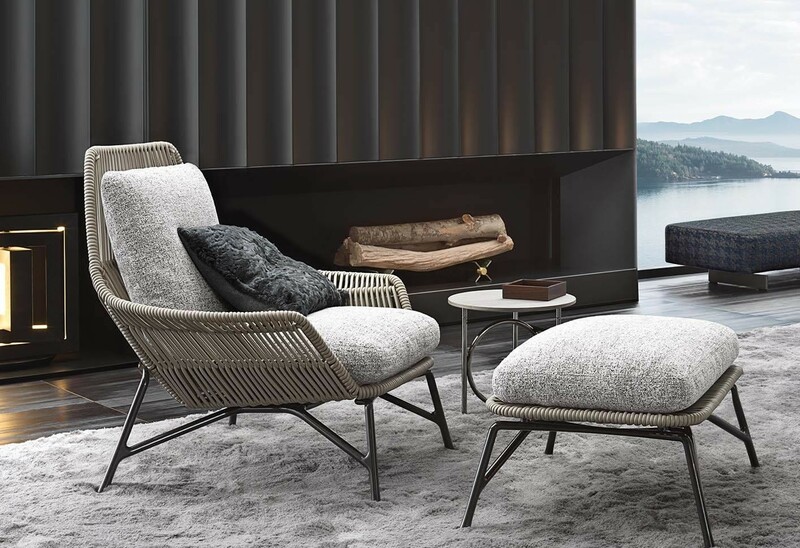 The Prince “Cord” Indoor is available in four shades – Dove Grey, Grey, Tobacco and Dark Brown – and the armchair can be accompanied by a footstool which carries the same stylistic sign.